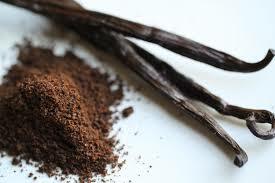 Pure Ground Vanilla: not to be confused with Vanilla powder (which has added sugar, etc) it is made by grinding pure vanilla pods. 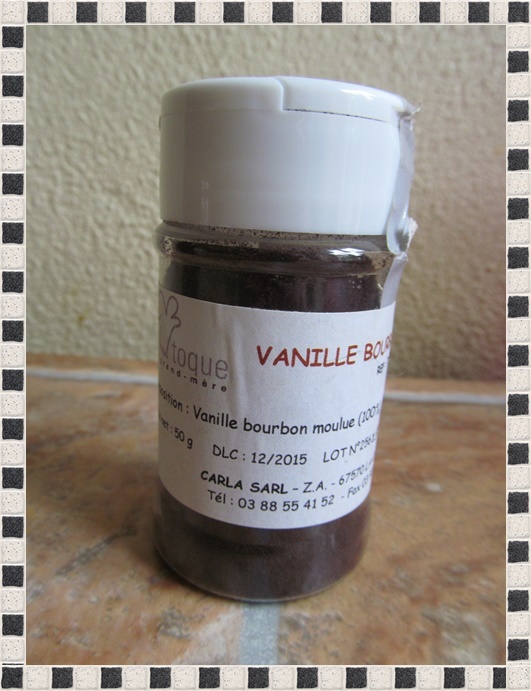 It can be used in combination or as a substitute to vanilla extract. 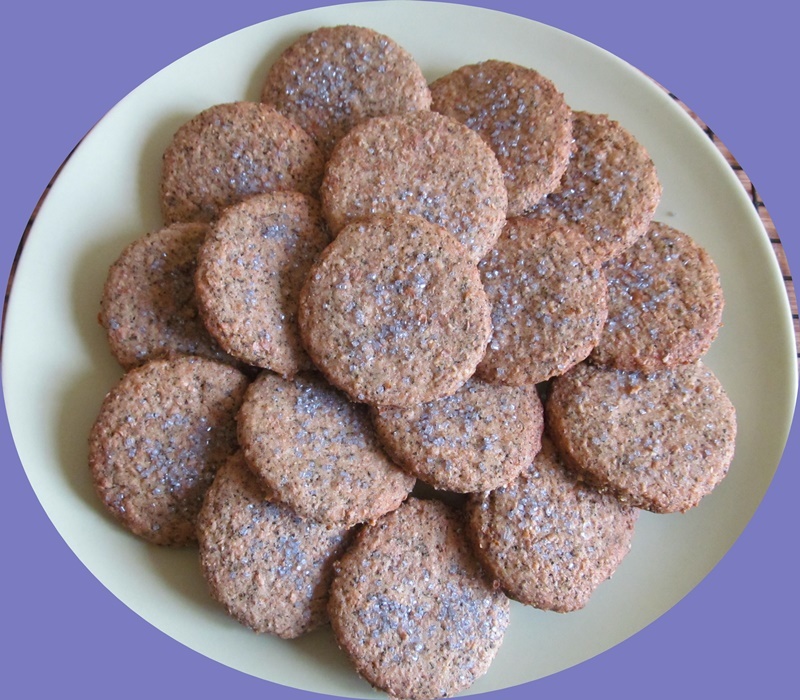 Great for all your baking, it is best when used or folded into cream or butter. Can also be used to flavour your ice cream! Beware, it will not dissolve as it isn’t water soluble. I had to position the bottle in direct sunlight so you could see the pods inside but the bottle has to be quite opaque for better results: drop 2 or 3 really good vanilla pods in you bottle and fill it up with a clear alcohol. In the UK, I used vodka but after a recent accident I had to start from scratch and in France I bought a fruit alcohol. 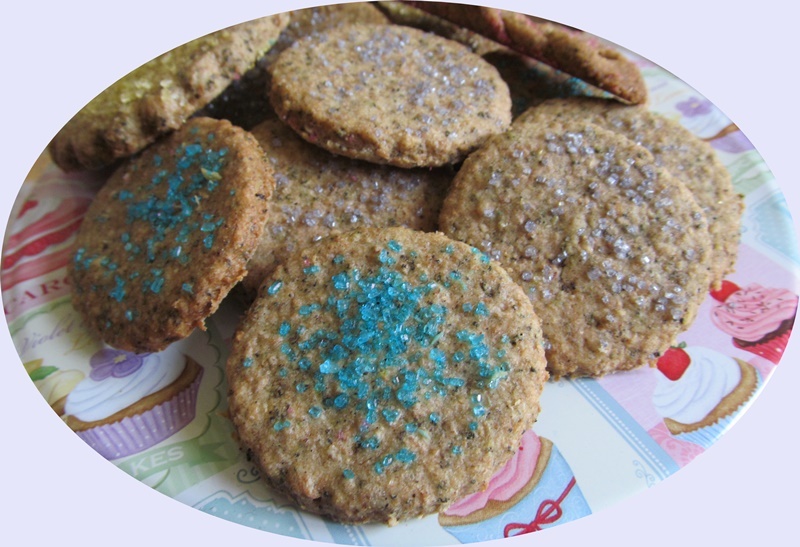 I added a tablespoon of ground vanilla (not in my “recipe”). You must leave it in the dark for a minimum of 4 to 6 weeks ( I know, such a long time!!!) but shake it from time to time…. After that, I top it up whenever I use it and always store away from sunlight….